Gotcha! 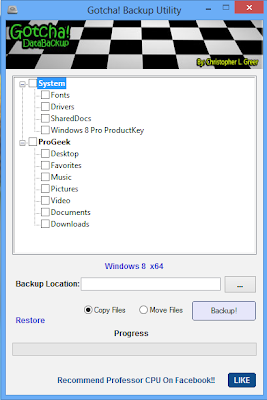 Data Backup is a freeware utility that runs on all versions of Windows. 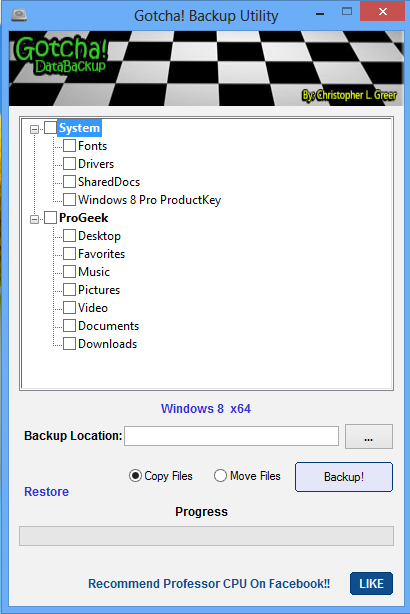 This software is useful if you want to save your user data (s) prior to system recovery for example. If you are in multiboot, Gotcha is able to detect your system partition and can copy or transfer data to an external device (hard drive, USB key, etc.).. It is available as portable and can be used on a WinPE. You can also choose the backup source and thus connect a hard drive and ask him to save it. PST files and Outlook settings.